Hipatia Argüero Mendoza studied English Literature at the National Autonomous University of Mexico (UNAM) and Screenwriting at the Centro de Capacitación Cinematográfica (CCC) in Mexico City. She has written several short films, which have premiered in national and international film festivals, and has developed TV projects for Film Tank and other production companies. In 2012 she participated in the Screenwriting Workshop of the IV Bolivia Lab, and in 2017 she was selected for the Berlinale Talents at the Guadalajara International Film Festival. 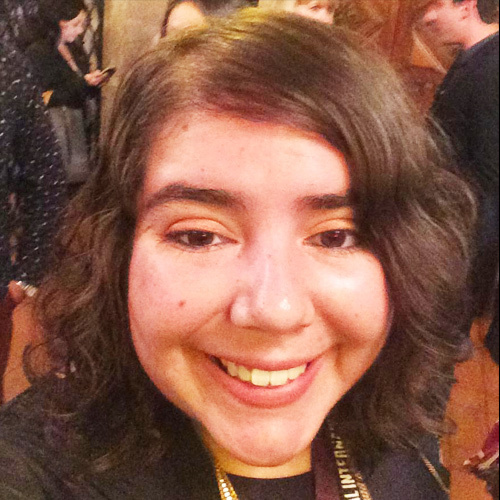 Hipatia also works as a film critic — her articles have been published in print and online magazines in Mexico and she also participates in the TV show “Mi cine, tu cine” in the Mexican public cultural network Canal Once. Hipatia is the founder and general director of Malamadre A.C., an organization dedicated to supporting independent filmmakers, decentralizing film production and strengthening distribution and exhibition in Mexico. Borderless, co-written with Edgar San Juan, is her first feature film. Borderless — Three life-long Mexican-American friends take a food truck from Chicago to Los Cabos, Mexico, embarking on a journey of self-discovery and reconnection with their roots in the complex social and political climate of two neighboring countries torn apart by fear and uncertainty.